New Year and Spring! 2015 is going fast! My friend Xenia Bakran-Sunic, a contemporary poet, took this picture. 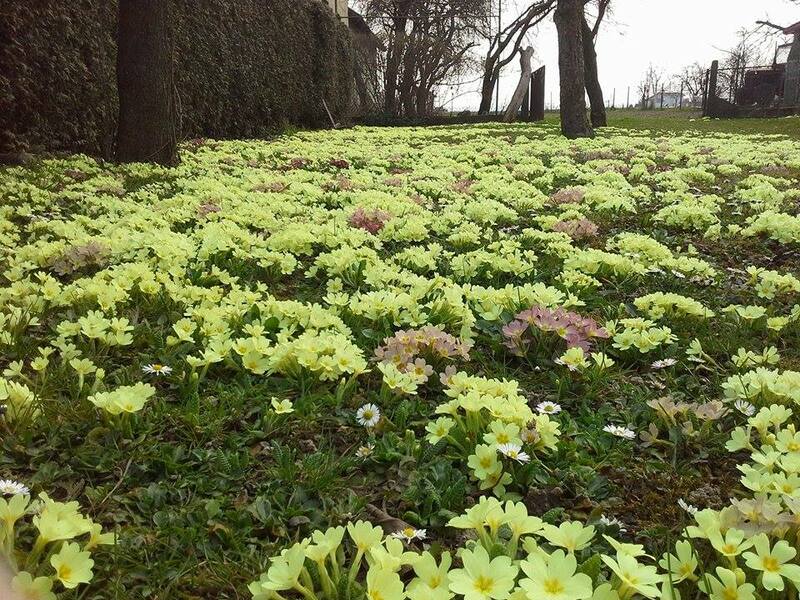 The Primroses bloomed gorgeously this Spring in Croatia. My loyal visitors, I would like to thank you for continuing to read my author’s blog, plus continue to check the pages so you do not miss any new content or revisions. In January and April 2015, I went through each of the pages and updated them. Added and deleted content to ensure the evergreen aspect of this website. I sincerely apologize for not writing a blog post since June 2014. A lot had to do with keeping Alicia’s Bookstore and more updated, adding new content (still have more to add) plus maintaining the website as the patrons except. Another aspect for lack of blogging on WordPress was working on Undermining Alex. I place publishing the sequel to Just Alex as top priority. It is not easy to write a book series compared to individual books. I am learning a lot about writing and editing a Science Fiction book series. There is much to maintain consistent per each book. Writing a book series takes more time than I expected, but it is sorting itself out as perseverance produces a quality sequel.
. It is very rewarding having loyal readers with the same topical diversified tastes. They have been very encouraging and inspirational. I am very appreciative, and enjoy feedback very much. 2015 has begun at the speed of light for me. Yes, as we all have, real life things off line has kept me from blogging with you as well. Unfortunately, real life issues, concerns, family time, etc. must come first. There are many things I have planned for my official blog; much I would like to share with you in 2015. Goals have been set (annual, monthly and weekly). I look forward to checking them off as each are completed. May you be successful in completing your 2015 goals, or keeping your New Year’s Resolutions (or both). Thank you very much for visiting. All visits are immensely appreciated. Best Spring 2015 wishes for you and your family!